Towards the end of 2017, I made a make up vow that I would step out of the comfort zone of my favourite brands and start exploring what else was out there. Top of my list was Too Faced and since the beginning of this year, I've added three of their palettes to my ever growing collection. 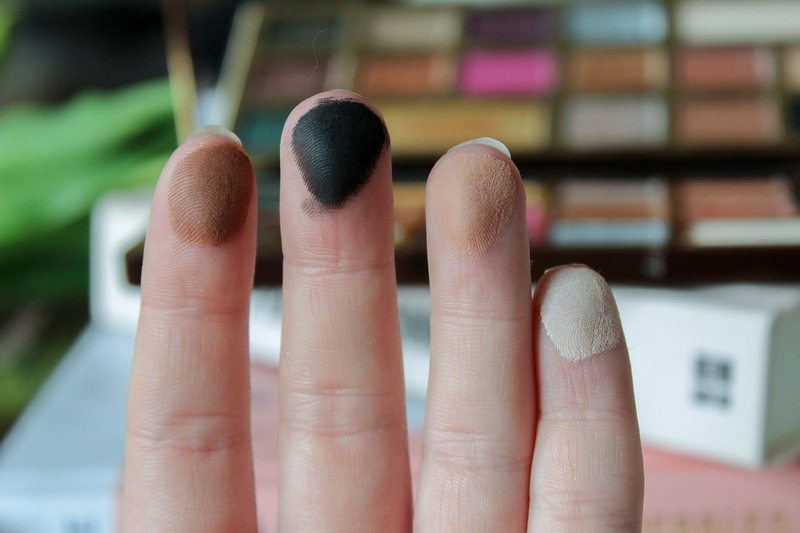 The very first one was the original Chocolate Bar Palette closely followed by Natural Eyes which has been a permanent fixture in my makeup bags for months. 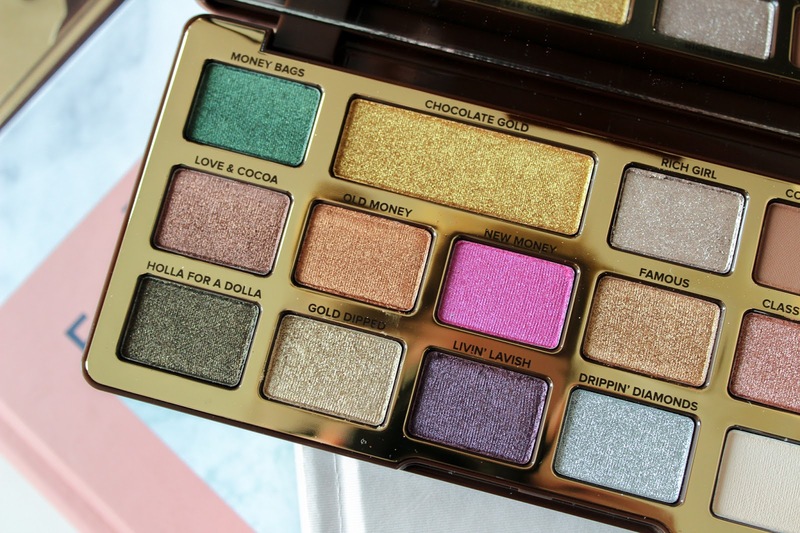 The third beauty I've added to the stash is the Too Faced Chocolate Gold eyeshadow palette which is so not my usual style but I'm obsessed with it, just look at those shades! The palette is totally out there, completely different to what I already have and the shades are just beautifully unique. Just like the original Chocolate Bar palette, Chocolate Gold is infused with cocoa powder that smells so good you could eat it but that's not all. This particular palette is next level decadence thanks to also being infused with luxurious gold which make the metallic shades pop like no other. Thanks to the super infusions, the shadows are silky soft with a velvety texture. They're rich with high shine and a long lasting finish but oh so gentle on the eyes, they're a complete dream to use. The palette features sixteen shades in an array of metallic and shimmer finishes with four soft mattes thrown in for the perfect shadow base and crease colour. When I'm not revelling in all the shimmer, I use three of the mattes together, Rolling in Dough all over the lid to my brow bone, So Boujee on the lid with Cocoa Truffle blended into the crease and the lower lash line. It makes my blue eyes pop! The rest of the shadows? Well...... Aren't they fabulous?! I hold my hands up and admit I am not a colour girl at all but this palette has done things to me I never knew was possible. Hot pink on the lower lash line? Check. Sultry Copper with a touch of Green? Give me. Hell, you don't even need a primer with these babies. They're THAT GOOD. I have so much love for this palette, if you couldn't already tell. Apparently there was a metallic loving, colour popping junkie dying to break out and boy, am I glad that Chocolate Gold was the one to do it. Post contains affiliate links - see disclaimer. 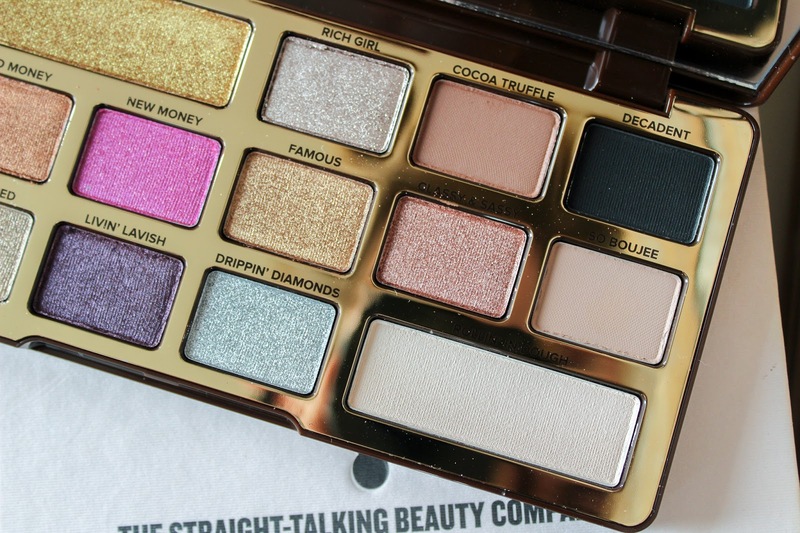 I am in love with this palette, the shades are so gorgeous, and it smells like chocolate?! 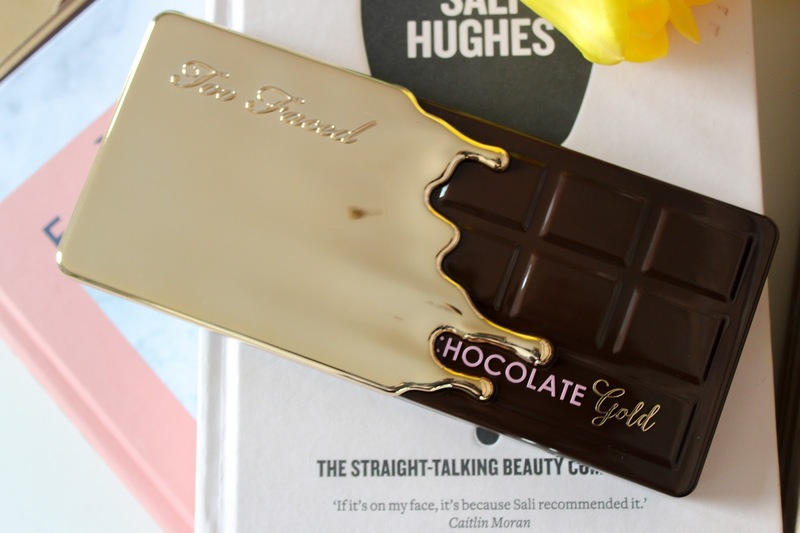 Who doesn't want a palette that smells of chocolate?! 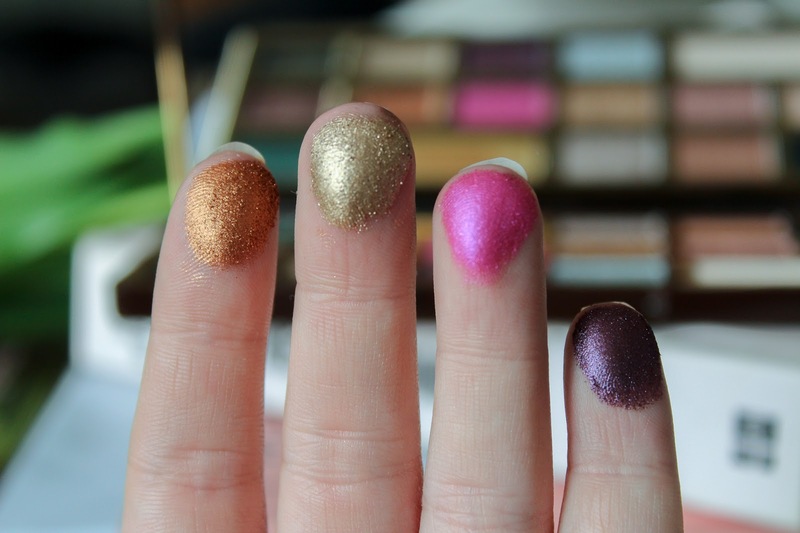 I LOVE this palette, Everything about it is just utter perfection and I cannot get enough of it. I love using it. I love this palette! So many lovely diverse shades that mix together seemlessly and it smells like chocolate! Winner! 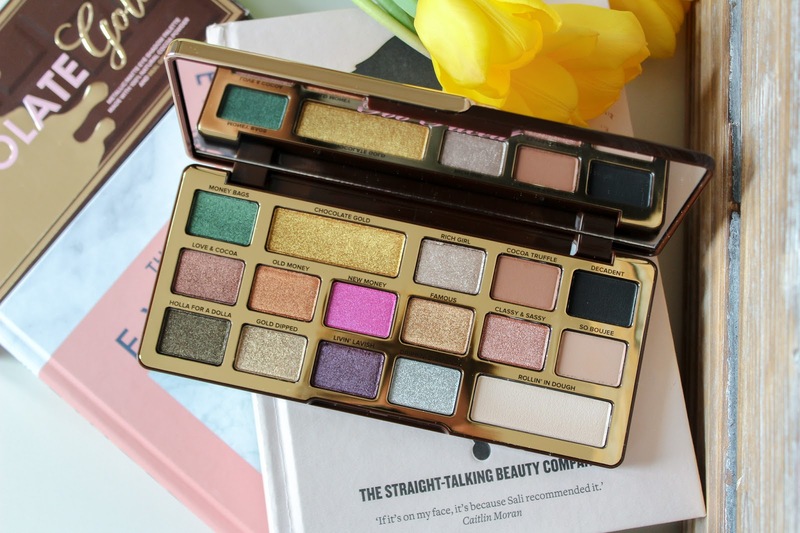 I am such a huge fan of Too Faced, I love their Natural Love Palette the most I use it every single day! that pigment is insane! would love to see you do a tutorial on using the palette! 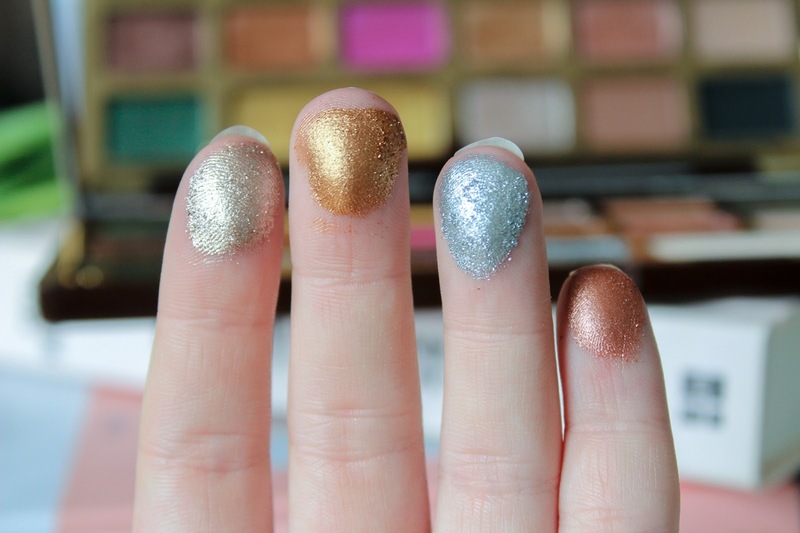 These colours are so pretty but I’d no idea how to use them! 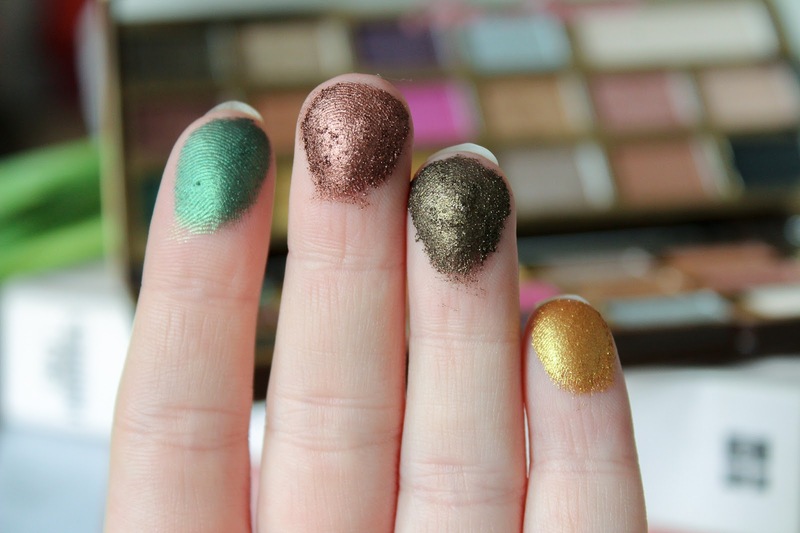 Wow they look so creamy and pigmented! This palette looks so good! The 'new money' shade looks so nice, I'm obsessed with anything pink and shimmery! 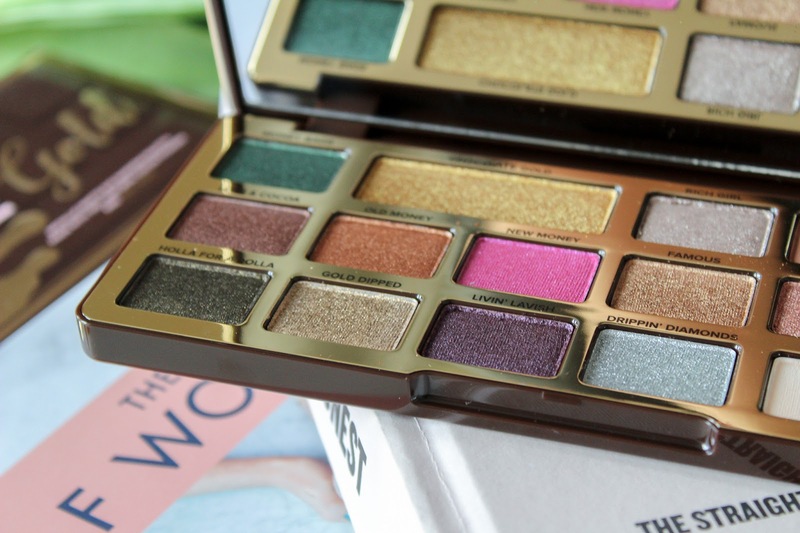 I'm lookimg for a new eyeshadow palette for my holidays and I'm temptied to get it!